(Nanowerk News) A typical computer chip includes millions of transistors connected with an extensive network of copper wires. Although chip wires are unimaginably short and thin compared to household wires both have one thing in common: in each case the copper is wrapped within a protective sheath. "Researchers have made tremendous advances on all of the other components in chips but recently, there hasn't been much progress on improving the performance of the wires," he said. The isolating material--currently tantalum nitride--keeps the copper from migrating into the silicon transistors and rendering them non-functional. 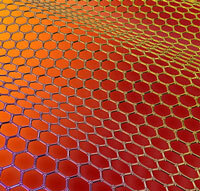 Graphene had a second advantage as a protective sheathing and here it's important to differentiate how this outer layer functions in chip wires versus a household wires. These benefits--the thinness of the graphene layer and its dual role as isolator and auxiliary conductor--allow this new wire technology to carry more data between transistors, speeding up overall chip performance in the process. In today's chips the benefits are modest; a graphene isolator would boost wire speeds from four percent to 17 percent, depending on the length of the wire. "Graphene has been promised to benefit the electronics industry for a long time, and using it as a copper barrier is perhaps the first realization of this promise," Wong said.